Derelict fountain, Galata, Istanbul, ca. 2000. (Rolleiflex Xenotar f2.8, Ilford HP5, scan of print.) Click to enlarge. 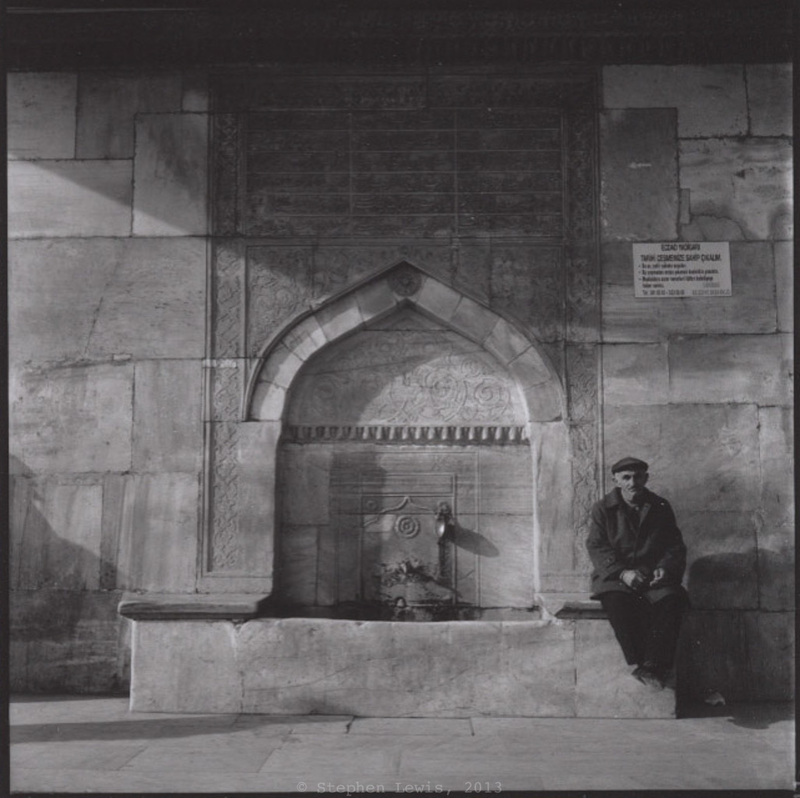 Two decades ago, I began to photograph the historic water fountains (çeșme) and water kiosks (sebil) of Istanbul. I began, not with the grand and monumental, but with obscure and abandoned — those in backstreets, alleyways, and courtyards, functioning and non-functioning fragments of legacy urban infrastructure, overlooked by scholars, their features surrendered to the elements, decay, and neglect. The forgotten origins and gradual disappearance of many of these structures seemed symbolic of larger urban processes of decline and abandonment — processes that are as central to the functioning and continuity of cities as are restoration and (re)development. 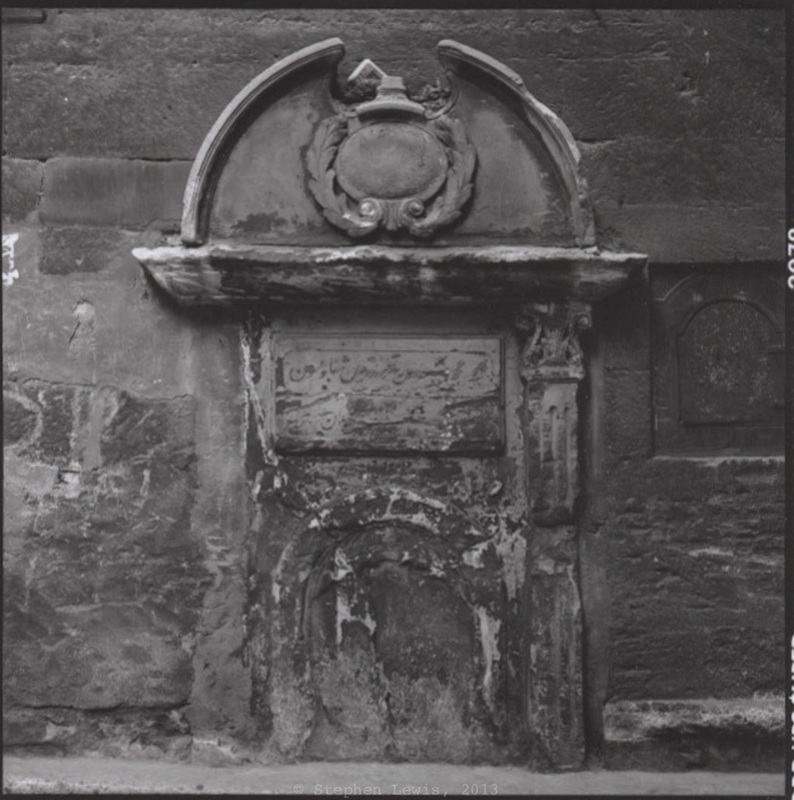 Fountain, seemingly from late-18th-century spolia, Zincirli Han, Kapalı Çarşı, Istanbul, ca. 2000. (Rolleiflex Xenotar 2.8, Ilford XP2, scan of print.) Click to enlarge. At the time, my approach to fountains and kiosks aesthetic rather than documentary. My eye was drawn to single planes as much as to entire structures, to textures as much as to decorative elements, to materials and much as to settings, and to the marks of time as much as to original appearances. The joy of finding in the focusing screens of my Rolleiflexes the tensions and calming balances inherent to subject matter was paramount. 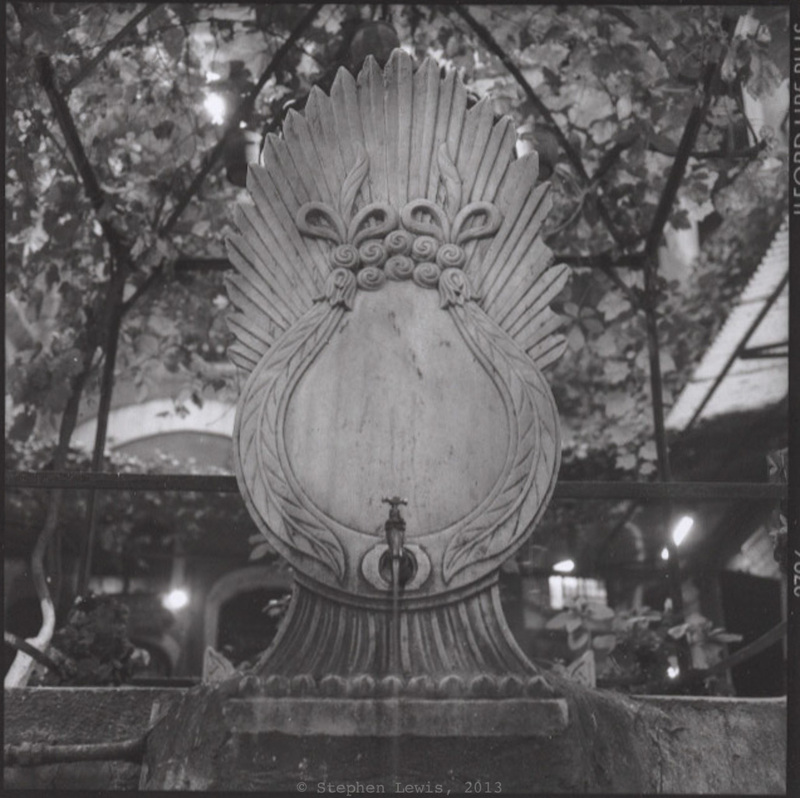 Frontal detail of the early-eighteenth-century Iskele (quayside) fountain, Uskudar, Istanbul, 1997. (Rolleiflex Tessar f3.5, Ilford HP5, scan of print). Click to enlarge.